The gaming industry had quite a busy holiday season in 2003. October saw the release of the highly anticipated Jak II, Max Payne 2, and Tony Hawk’s Underground, and November pumped out Ratchet & Clank: Going Commando, Mario Kart: Double Dash, and the instant classic, Prince of Persia: The Sands of Time. 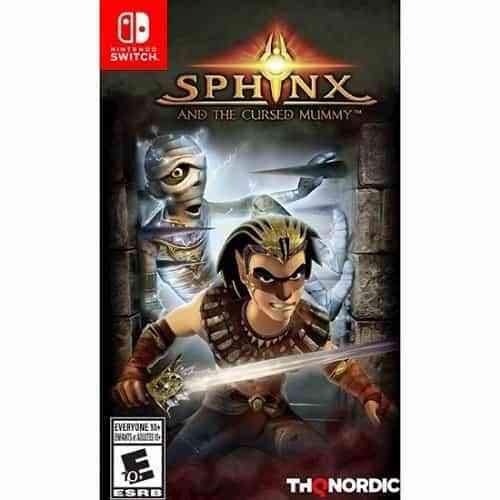 Amidst all the triple-A titles and soon-to-be classics was a mid-tier game from developer Eurocom called Sphinx and the Cursed Mummy, published by then-monolithic publisher THQ. It would fly under the radar, for the most part – becoming somewhat of a cult classic over the years, enough so to warrant a port of the game to PC in 2017, and to the Nintendo Switch here in 2019. Having apparently missed the boat over the past 16 years, I was eager to see what made this game special enough to necessitate a port of it after all this time. Sphinx and the Cursed Mummy starts with a cutscene that feels like its first half is missing as Master Imhotep bestows his disciples Sphinx and Horus with the task of finding the Blade of Osiris, because the darkness prophesied will soon descend upon them, and they need to be prepared, which they accomplish with great ease, save for the part where Horus rides off of a lavafall on a floating rock. Meanwhile, Prince Tutenkhamen is preparing to celebrate his birthday before his jerk brother Akhenaten curses him, turning him into a mummy. It seems simple at first but quickly evolves into a relatively ambitious story that respects the audience’s intelligence, even though the stakes aren’t always entirely clear and the characters are somewhat one-dimensional. The world itself is interesting as it’s obviously set in and inspired by Egyptian Mythology, with characters who resemble visual representations of the ancient written language regularly reference Gods and their actions, some of whom you get to interact with as you make your way through the game. The story is definitely the most interesting aspect of the game, as the gameplay itself is where things start to decay. 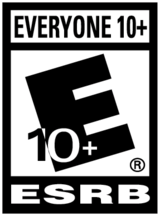 That’s not to say the gameplay is outright bad – it’s not, but it’s also not particularly good. The game often does a great job of stopping everything to explain a control scheme to you but leaves most goals vague and often irritating to figure out. Throughout the game, you go back and forth between playing as Sphinx, whose sections are more combat and platforming oriented, and Tutenkhamen, who also gets in on the platforming action, but mostly focuses on solving puzzles. It’s a nice dynamic and the game is paced well enough that it switches over to one as you’re getting sick of the other. The segments where you play as Sphinx prove that the real antagonist is the game’s controls, which often feel sticky and rigid in trying to navigate the world, especially when jumping between surfaces. Combat is relatively simple hack and slash action, and after a while, you get a shield of very little practical use aside from deflecting beams of light from an “enemy” called the Eye of Ra, which sends you back to the nearest save point (physically, it doesn’t destroy your progress) every time it hits you. About a third of the way into the game, Sphinx gets some more useful abilities like a somersault, a ground pound, and more gear than you have buttons for, though they’re mostly used contextually and don’t make traversal itself any less of a chore. I found playing as Tutenkhamen much more enjoyable, as his brain-teasing puzzle segments are often where the game’s creativity really shines. One moment that stands out, in particular, sees the player setting the mummified character on fire to light some braziers on the other side of a watery path, before being squished into Paper-Mario (or as I call it, Paper Mummy-o) likeness to squeeze between some tight bars and flip a switch. It’s not exactly rocket science, but it was still fun to see these more experimental ideas come to fruition for short segments, and not lean too hard on them for the rest of the game. The game’s first few hours are relatively linear, but after that, the game seems to “open up” much like a Zelda title would following a tutorial. It gives you a small area to poke at things and say “what’s this?” before pulling you back into a frustratingly unclear mini-dungeon that presents a new mechanic: Pokemon. Er, I mean, Capture Beetles. They’re actually a pretty interesting twist that allows you to capture small animals from around the game’s world and use them in environmental puzzles, or you can donate them to a museum. There’s also a couple of obstacle courses where you can remind yourself of the slight jank in the game’s controls, and a town full of minigames. But let’s take a moment to talk about the game’s presentation. 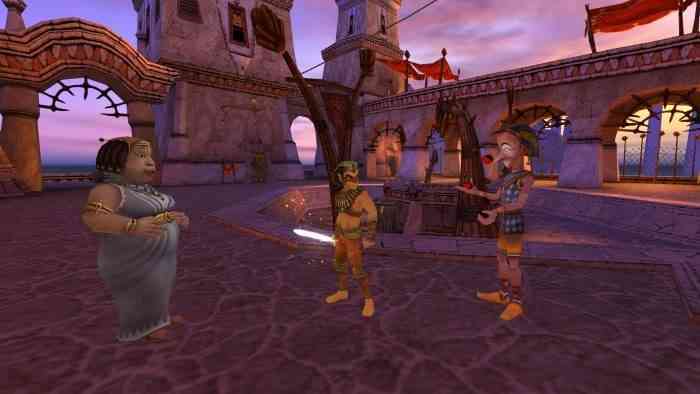 I’m sure when it originally launched, Sphinx was a fine-looking game. Sixteen years later we’ve made quite a few strides in visual fidelity, and though this port does look pretty good for what it is, the jagged edges of a long-gone era stick out like a sore thumb, and coupled with the aforementioned inherent issues with the game’s controls, consistently remind you just how old it really is. There are moments where it’s charming, and others where it’s gaudy but more than anything else, it highlights how much of a missed opportunity this was to give it a proper remaster and bring it into the modern gaming landscape with a fighting chance, as opposed to this entirely under-the-radar port release the same day as Kingdom Hearts III. There’s a genuinely good game buried under all the “nostalgia” (if you can even call it that) that could have been given a new life by tightening up the controls and polishing the visuals. 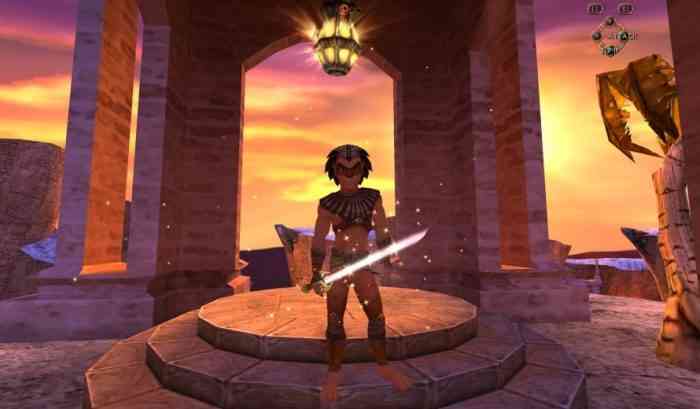 In my time with Sphinx and the Cursed Mummy, there was one question I couldn’t shake from my head – “Who is this for?” Which may have been easier to answer in 2003 when the game originally released. 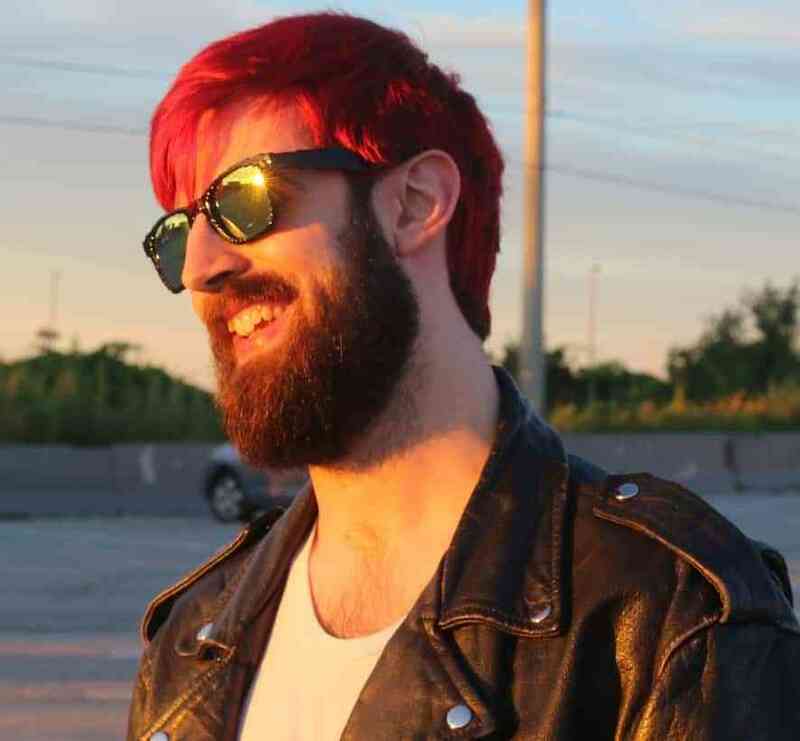 Now, with the absolutely unrelenting number of games designed to keep you locked in forever, or the onslaught of visually stunning high-quality single player games, an answer is almost impossible to pin down. I’m not sure who is looking for an uprezzed version of a sixteen-year-old PS2-era game that received lukewarm reception when it initially launched. All that being said, I’d still recommend trying out Sphinx and the Cursed Mummy just to see some of the interesting ideas floating around, and how not to design jumping in a game. It puts an interesting game-ified twist on Egyptian mythology and shows how far influence can take a project, as there are multiple prominent moments where the game is clearly trying to emulate the feel and pacing of a Zelda title. But in a time where remasters and remakes are a dime a dozen, THQ Nordic may want to put a little more effort into their IPs next time around.